The new generation of KVM over the NET™ switches allows local and remote operators to monitor and access the entire enterprise data center over the Internet using a web-based browser. In addition, they offer out-of-band access – including external modem support – for BIOS-level troubleshooting when the network is down. To help you manage and control your entire datacenter environment, we now support blade servers and chassis. Also, there are some new powerful features such as Power Association, which enables the switch’s KVM ports to be associated with power outlets on an ATEN/ALTUSEN PDUs – therefore allowing power management of the server attached to the port from the switch’s interface. The KVM Over the NET™ switches’ powerful capabilities further include: Message Board, Panel Array Mode, Mouse DynaSync, and Adapter ID. To help you manage and control your entire datacenter environment, we now support blade servers and chassis. Also, there are some new powerful features such as Power Association, which enables the switch´s KVM ports to be associated with power outlets on an ATEN/ALTUSEN PDUs – therefore allowing power management of the server attached to the port from the switch´s interface. If a server has dual power supply, secondary power association lets you associate a second outlet port and synchronize the operation for both power supplies. 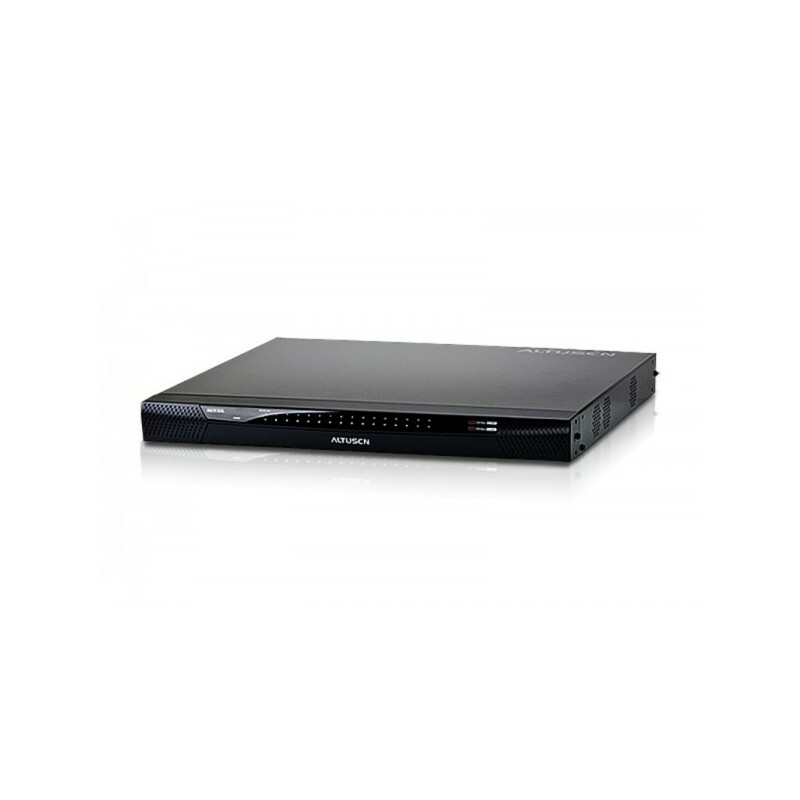 The KVM Over the NET™ switches´ powerful capabilities further include: Message Board , Panel Array Mode™, Mouse DynaSync™, Adapter ID, and Virtual Media. The Virtual Media function lets you map USB storage media (including DVD/CD drives), and image files to a remote server – allowing administrators to conduct file transfers, install applications and OS patches, and perform diagnostics remotely with ease. With their dual on-board NICs and dual power supplies, these switches are built for 24/7 reliability to ensure the highest rate of availability for your server room and data center services. The switch´s design also features Green IT solutions that include four temperature sensors to regulate up to six fans – making sure they are always running at optimum speed – throttling down and speeding up depending on the room temperature, reducing data center IT operation costs through a more efficient way of using energy. 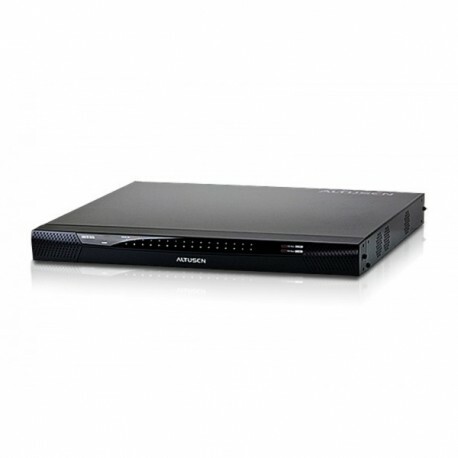 With ALTUSEN KVM over the NET™ switches, IT administrators can manage their server rooms and data centers from practically anywhere – minimizing travel costs and MTTR (Mean Time to Repair) – and ensuring the highest availability of data center services possible.